Microsoft India announced the winners of the India leg of Imagine Cup 2016, after concluding the National Finals held in New Delhi. Imagine Cup is a global student technology competition, and one of Microsoft’s many efforts to transform skill development, nurture budding technologists and foster innovative spirit. Three teams emerged as the winners under each of the three categories – World Citizenship, Gaming and Innovation after an intense contest among 27 teams from across the country. One grand winner will now be chosen to represent India at the upcoming worldwide finals in July in Seattle, USA, to compete among global teams for a US$ 50,000 prize. 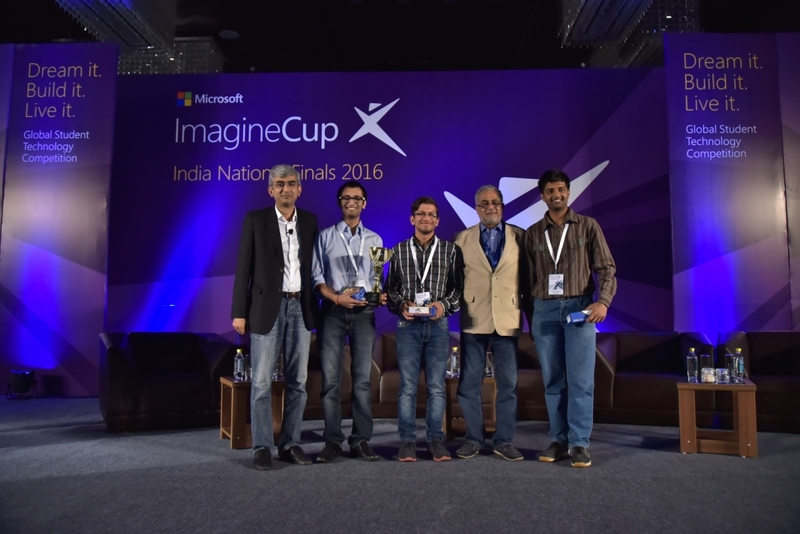 Microsoft Imagine Cup continues to witness strong participation from India, as well as world over. This year, more than 9500 students participated from 23 states across India in the contest. The winning teams showcased their innovative thinking, technical skills and ground-breaking solutions to address everyday challenges. Team KudaPehchano developed a real-time garbage management system using machine learning and vision techniques, while Team DIGIY developed an interesting game of suspense and Team AxeJulius built an app to publish ebooks and share them with the public. While the World Citizenshipcategory is focused on solving global problems in areas such as health, environment, and human rights, the Innovation category seeks ideas that appeal to consumer audiences, as well as inspire and delight a wider audience. The Games category challenges teams to develop innovations that raise the bar in the global game revolution. This year’s competition included three engaging contests under these three categories - the Hello Cloud Challenge, and the Earth Challenge, in addition to the main competition, to empower students to explore various avenues and platforms to develop and showcase their ideas. Imagine Cup is one of Microsoft’s many efforts to transform skill development, nurture budding technologists and foster collaborative and innovative spirit. Now in its 14th year, this global technology competition boasts of several success stories emerging from the competition. 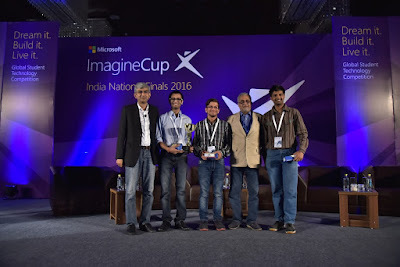 Last year, CodeBlue, an Indian team, bagged second place in the Apps for Office Challenge at the Imagine Cup 2014 Worldwide Finals held in Seattle on July 31, 2014. Team CodeBlue was awarded a cash prize worth USD 3,000 for their innovative app – Molecule Maker, which provides a library of molecule visualizations in World, Excel and Powerpoint, enabling the representation of molecules visually. 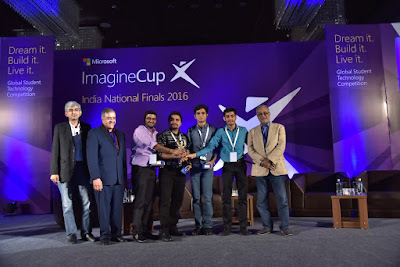 After competing in the Imagine Cup in 2009, Mrityunjay Bhadauria launched his project into a company, EDUKINECT. Based in Hyderabad, the company provides an educational service platform to help more than 20,000 students be future-ready. The business has grown by 400% annually – supporting educational services in more than 150 engineering campuses across India.